E-mail Marketing? Isn’t that a thing of the past? How many emails do you get a week from your favorite retailers? I know I receive at least 5-10 per week. Whether it’s my favorite clothing store or sports team, I’m always getting something. Most of the time, we look through these really quickly or automatically delete them. Many times I can’t scroll down to the unsubscribe link fast enough. With social media and other marketing methods on the rise, how is e-marketing still effective? Believe it or not, email marketing continues to thrive. According to Compete PRO, emails are the second most popular incoming traffic source for shopping sites. In fact, 42.6% of people choose email as a tool whenever they shop. 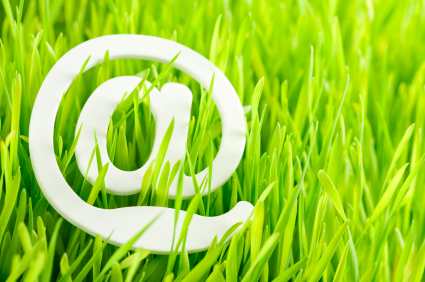 It’s much easier to catch a shopper’s attention in an email than 140 characters or less. Emails generate more personal content with photos, animations and videos. Additionally, companies and brands should personalize their email content to their consumers. Send out questionnaires and surveys to your customers. Based on their responses, modify your e-marketing accordingly. If you tailor your content, they are more likely to open the email. Consider offering exclusive discounts, early access codes or free gifts to loyal customers as well. Don’t underestimate the power of the subject line in your emails. The reader is forced to read these seven to ten words before they can delete your email. Make those words count. Also, make sure the most important information you want to be seen on the newsletter is on the top half of the newsletter so it can be scanned in your email software browser. Lastly, you know you’ve heard someone say “there’s an app for everything.” This is especially true with the convenience of mobile email. Recently, it was found that more email is read on phones than computers. Brands should optimize mobile email. They should make sure there is a mobile version sent along with the web version. It’s easy to get lost in the midst of digital marketing, but it’s still an effective tool that should be utilized.